You’re ready. You’re more than ready. In fact, you’ve probably already posted to your blog. So, how’d it go? How many readers? Who were your readers? How many shared your post? Anyone leave comments? If you’re like 99.999% of b2b bloggers your readership probably consists largely of members of your own company and many of your comments are probably automated spam. I feel your frustration, but this is very fixable. Let’s start from the beginning and get you on track to gain and keep readership among your target audience. I hate to be a buzz-kill. But there’s no shortcut for this initial step; so, here it is: You can’t build your audience until you know your audience. And I can tell by the pained look in your eyes that you already know where I’m going with this. Customer [or Buyer] Personas. The good news is that you don’t have to create new Personas if you already have them for your product marketing, new service development, and marcom functions. If you’re confident in those personas, they will work equally well for your blog. If you’ve managed somehow to avoid developing customer personas for each of your market segments let me tell you two things: (1) Stop carrying this information around in your head. Everyone in your organization needs to know and understand your customers to be better at their jobs; (2) It’s not as daunting as you might think. Most marketers just need a good place to start -- like a template. Get yourself a customer persona template that “fits” your needs, sit down with your team and your customer data, and complete the template. It’s a valuable exercise and I guarantee you will discover a few things you didn’t know. Believe it or not, you might even enjoy the process. You’ll certainly benefit from the results. Armed with information about your audience you can now begin working to attract them. If you’re confident in your customer personas but are new to business blogging, there are three fundamental things you need to do to begin building your audience. 1. Create audience-appropriate content for your blog. It’s important to keep your audience in mind when developing your content. So, think about your customer personas. What kind of readers does your blog target? What do they want to read? What do they want to get out of your blog posts? Consider this: Your customers’ Sales VPs will have different priorities than your customers’ heads of HR. So, just by knowing what the demands of their jobs are you can determine how your posts can help solve their problems and help them do their jobs better. In addition, every post must be about something they can relate to and, to top it all off, must be engagingly written, in a tone and style that is appropriate to their age, background, and the topic. Similar to your other marketing programs, your blog will not be successful if you produce lackluster content and your topics are not customer-centric. 2. When you have compelling content, publish it at regular intervals. Plain and simple: Write well, post often, and post regularly. In a perfect world, you would aim for at least 1-2 posts per week. With publishing content recurrently comes commitment. That means writing even during the holidays and vacation season. It will be important that you set the required time and resources aside on a weekly basis if that’s your commitment. And always keep in mind: quality over quantity. 3. Whenever you publish, promote your blog post on other social media platforms (with links) and other marketing channels. This includes sharing your blog posts to your LinkedIn page, Twitter, etc. This also includes teasing the content in any email campaigns that you do. If you send out an e-newsletter, your blog posts should be included. 4. Building a subscriber list ensures your readers keep coming back for more. The simple blog hosting sites we discussed in #2 of this series (e.g., Wix, Blogger, WordPress, etc.) all have “gadgets” or “widgets” that you can include on your blog page that will enable visitors to subscribe to your blog. Every time you publish a new article on your company blog they automatically receive a notification of new content. In return for this service, you collect their email addresses – and not just any email addresses, but email addresses of people who need, want, and like your content; i.e., potential customers. It’s a beautiful thing. If you’ve already advanced beyond the fundamentals, there’s an entire world of opportunities out there for building a following. For all you folks who are not new to blogging and want to step up your game, here are a couple of ideas that you may want to pursue. 5. And speaking of visual content … include carefully chosen graphics in the body of your blog posting. These can be illustrations, photos, and (our favorite) infographics. The reason this tip isn’t grouped with novice tips is the phrase, “carefully chosen.” Carefully chosen means professional, relevant to the content, are in keeping with your style guide, and visuals that help communicate your message more effectively. Everyone seems to think they “get” graphics. Sadly, this couldn’t be farther from the truth. If you don’t have access to design services, solicit a few opinions from colleagues whose knowledge of your brand, experience, good taste, and style are always reliable. 6. Spend time titling both your blog and your posts. A drop-dead title will simply [and logically] attract more attention. In addition, it sets the tone for your blog content, giving readers a sense of what they can expect. A ho-hum title signals a ho-hum article. By the same token, a “too precious” title won’t pique the interest of b2b readers either. If your topic is trending and timely – i.e., something people are clamoring to learn about -- a straightforward, easy-to-search title will serve you well. Simply by putting yourself in the shoes of your prospects, you can see the benefit of having a blog that is easily readable on a smartphone. But, even more to the point, Google has been ranking mobile-friendly sites higher than mobile-unfriendly sites in mobile search results since the middle of 2015. Ready to take the next step? Great! We have a few proven tactics for you. 8. Guest blogging and guest bloggers. In marketing, we’re accustomed to forming alliances and collaborating on joint marketing campaigns. Yet, many companies are hesitant to do the same with their blog. Don’t be one of them. Identify guest bloggers who can add valuable content, and offer to guest-blog for them in return. It’s a win/win. That way you’re helping each other while gaining additional promotion you could not have achieved on your own. This includes contributing to the top blogs in your area of expertise, so don’t be bashful. 9. Get creative about sharing your content on social media. Instead of using the standard clickable icons for readers to share your posts to social media, create a click-to-tweet box using tools like Social Warfare, TweetShare, and clicktotweet.com. You can generate a nice big color block, complete with a pre-composed 140-character post that auto links to the reader’s Twitter feed. All your readers need to do is click the box, view the tweet, and click to share. Making posts easy to share increases the likelihood that they will be shared. Also, people love the visual color block, so take advantage of this opportunity to not only capture your readers’ eyes but to give your share rate a boost. The more shares you have, the more people will learn about your blog. 10. Link like you mean it. By linking your blog content to outside sources, you are telling search engines more about your content and helping to improve your rankings. It is also a way to build relationships with other bloggers and resources. These are called Outbound Links. Using Inbound Links is also a best practice. When you link to your own past blog posts and pages on your website, you are reinforcing the point you’re trying to make. At the same time, you are using keywords that will improve your search rankings and drive new traffic to posts and pages that provide valuable information. 11. More is not less. More is not the new black. More is more. And more is better.The two-paragraph, 250-word blog post is not cool, it’s not pithy, and it’s not informative. Me? I find them annoying and often pretentious. But don’t take my word for it. The research shows there has been a steady upward climb in the correlation between word count and share-ability over the past three years. In 2017, our friends at HubSpot announced their findings on blog length. They found an overwhelmingly positive correlation between organic search performance and blog pages with word counts of over 2,250. In real estate, location is paramount. The equivalent, when it comes to online initiatives, is keyword strategy. This success factor tracks right back to your original goals for your blog. We all blog to drive traffic. Traffic is dependent on search rankings. Search rankings are dependent on well-used keywords. BLOGGERS BEWARE: This is not the same as keyword stuffing and writing content around high performing keywords. Determine your Keyword Strategy, stick with it, and you’ll be fine. Make sure you use keywords that are 100% relevant to your topic and audience. The best keywords are long-tail keywords, which are actually phrases of three or more words. And, on that note, here we are, at the conclusion of another installment in the “Building Better Blogs” series. The fourth article in this series will talk about best practices in content development. So, stay tuned for #4 - Creating Compelling Blog Content: A Recipe for Secret Blog Sauce. We truly hope you’re finding value in these articles. But we realize we’ve hardly covered every detail and contingency in this single post. So, we welcome and encourage your questions. We’d love to hear from you and invite you to share your thoughts in the comments below. In addition, nothing is more instructive that personal experience. Have some tips and tricks to share? So, you’re taking the plunge. You’ve committed to creating – or upgrading – a blog for your company or organization. One small step for the business. One giant step for Marketing. Because … congratulations! You’re now in the Content business! What it is is a tactical program in a broader strategy called Content Marketing. Emphasis on Content. While it's possible to post relevant and valuable content created by other companies and from other sources, it is also essential that you start generating ideas for original content right away -- you'll need them. And, like every tactical program, it requires predetermined goals, a plan, execution, and evaluation. Getting your proverbial ducks in a row starts with setting your goals for the blog. This is simply a matter of answering this multiple-choice question: What do you want to gain from your blog? If you answered “F. All of the above,” you are ready to get started. Because that is exactly what smart blogging can and should accomplish for businesses. Even better, each of these goals is quantifiable. It is possible to monitor the results and use them to continuously improve the performance of your blog. In other words, make sure you have control of the domain name for your blog. Good formats you can use are yourdomainname.com/blog, or blog.yourdomainname.com, or yourdomainnameblog.com. This practice (or protocol) will help you in several ways. First, there’s always a good chance that you may want to switch blog software services down the road. As long as you own the URL for your blog, you won’t have to change your blog address when that happens, and your followers will have no problem finding and visiting your blog. In addition, when you host the blog as a subdirectory of your company domain name, such as yourdomainname.com/blog, you gain a distinct advantage in search engine optimization. Whenever other blogs choose to link to your blog (this is a common practice), your entire website gains greater credibility among search engines by association, just because they share the same domain name. Use the elements of your business’ corporate identity (logo, tagline, color palette, and other elements delineated in your style guide). This is not the time to give a new graphic designer free rein to create something “Totally new!” "Fun!" and “Exciting!” Make sure your blog page reflects the look and feel of the rest of your website and other collateral. You should never intentionally create any kind of cognitive dissonance among your readers, or leave them wondering if they’re in the right place. Many businesses also like to name their blog, giving it a separate-but-related identity. If you decide to go that route, take the time to test your blog name with customers, partners, and folks who are not familiar with your business. This last group is important because these are the folks who most closely reflect the perceptions of future customers – i.e., the people you have yet to reach with your marketing. Your blog name should be easy to understand, easy to remember, and easy to associate with your overall brand. As you develop a following of readers, it is very likely that they will want to read past posts about other topics of interest. Do everything you can to encourage this. Every time this happens, it means you are being perceived as a credible resource -- perhaps even a thought leader! None of this has to be a big, costly project. You can design, brand and publish a professional blog with its own URL using your business website's existing Content Management System (CMS) or you can use one of the flexible and intuitive products created precisely for this purpose. Blogger, Wix, WordPress, and Squarespace take a lot of pain and expense out of creating blogs for businesses and institutions of all sizes and types. Some bloggers can get up in the morning, sit down at their desk (or wherever), and just riff on anything that happens to be on their minds. That's fine if your blog is intended to be an online diary, but if you have genuine business objectives for this program you need a plan for becoming relevant to and trusted by your market. What we're going to talk about in this post is an execution plan. (Don't get me started on Strategic Plans -- that would be a very long post). So, you could create it in a spreadsheet or the project management application of your choice. Build in the flexibility to weigh in on news that affects your market in real time. Relevance is a big deal in blogging. Take it a step further -- use your calendar to also build in how you will support your blog posts on other social media platforms. And, last-but-not-least, who's writing what? It is very important that you assemble a team of people to at least help write blog posts. This step will ensure that you are able to post regularly and often. Frequent posts are obviously a checkbox item in the execution of your content strategy; but, even more important, your ability to attract visitors and generate awareness are dependent on your ability to consistently develop and share new content. When one person must bear sole responsibility for a blog's success or failure, the blog is doomed. Similarly, when one person must spend the bulk of his/her time chasing down promised posts from other writers, the blog may limp along for a while, but it is ultimately doomed as well. It's true that "Many hands make light work ... " It's also true that unless those many hands are committed and enthusiastic about the blog, about writing, and about the subject matter, you'll end up in situation #2 -- spending most of your time trying to scrape together posts from anyone anywhere. The takeaway from these dire warnings is this: Recruit and manage your blog team with care and consideration. There are two ways to go. Recruit writers in-house - It's not the simplest method, but it can be the most satisfying. Again, the trick is in finding, then managing, colleagues who are serious about the project. These folks will know the company, have an affinity for the subject matter, and will be easy to connect with spontaneously. Some folks have had good luck using a short application for interested co-workers, but most find that the fewer hurdles they place in front of volunteer bloggers the more volunteers they're able to recruit. The main thing to bear in mind is that a team of bloggers is like any other team. They require good communication, a few basic resources, a clear understanding of their responsibilities, and consistent motivation. The downside of recruiting in-house is that every member of your team has a "day job" that will inevitably conflict with and override their commitment to the blog. Be prepared. Try to build in a Plan B for these inevitabilities. Fill gaps with contract professionals - There are four "cons" to taking this route: (1) you have to pay professionals; (2) the less experience a professional writer has the less you have to pay them, BUT the longer it will take them to get up to speed; (3) many writers work remotely which can be "uncomfortable" for some managers; (4) most managers have no idea where to find good freelance writers, making the recruitment process stressful. If you have the budget, the "pros" for hiring professional writers to supplement your content team can make the investment worthwhile. Professional writers will submit portfolios of their work and have references, which will give you the best idea of their skill level. 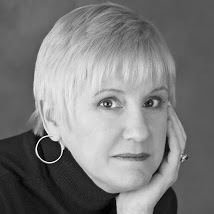 Experienced writers know and respect deadlines -- you will not have to chase or plead with them. Writers who work remotely know how to stay connected with their clients, even if their clients are not as well-versed in the process. (Many can even help you put processes in place to facilitate workflow and communications). Finally, remember where you're reading this article: LinkedIn is a great place to find contractors, freelance writers, and blogging experts! You can find out nearly everything you would want to know about your candidates in their LinkedIn profiles. Set your goals? Created a blog plan? Got your team? Excellent! Now, what about building your audience? The third article in this series talks about how you can reach your targets, grow your readership, and retain your audience. Stay tuned for Part #3, which talks about practical tactics for growing your blog audience. Nothing is more instructive than personal experience. Have some tips and tricks to share? We also realize we’ve hardly covered every detail and contingency on this topic. So, we welcome your questions too. We’d love to hear from you and invite you to share your thoughts in the comments below. Once upon a time, businesses had an onerous decision to make. Should they take a risk, climb out on a limb, and invest in creating a website for their company? Or should they stick with the tried and true tools and tactics they’d always used? This was a tough one. I mean, who knew if this online stuff would really catch on? Fast forward to 2017 and many businesses are still on the fence about blogging. 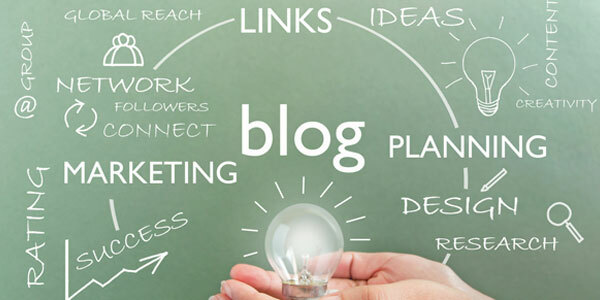 The only difference, however, between then and now is that blogs are already widely accepted forms of content marketing, that customers expect most businesses to publish a blog, and that a myriad of tools and techniques have emerged to help marketers derive the very best return on their blogging investment. It boils down to the same old thing: Decision makers want to see that there is a viable business case for investing in a blog. Because, all misconceptions aside, it’s not “free,” it’s not easy, and it’s not typically something you want to hand off to a high school intern. (No offense to the growing number of industrious, blog-savvy high schoolers out there). Boost Your Business’ SEO - Search engines respond to fresh, new content. Every new post gives Google and other search engines something to sink their teeth into. According to a well-known HubSpot study, websites with blogs have 434% more indexed pages and 97% more indexed links. Increase Customer Engagement with Your Brand -Blogging is a way to connect with visitors to your website by offering them information that has value to them, and using that content to strike up a dialog. Try posing questions in your posts or enable and encourage comments. If you are attentive to your readers’ comments (read and reply), you create affinity through a relationship of sorts. Not to mention gain better understanding of what they want and need. Industry Leadership – You don’t have to be the head of a multi-national conglomerate to be an expert. Trust and credibility come from communicating relevant and valuable content (i.e., ideas and information). This is one place where small businesses can gain a competitive advantage over their larger competitors. Extend Your Reach – Every blog post is an opportunity for sharing via email, social media, or [the holy grail]: Word of Mouth. Blog posts can be linked to, tweeted, emailed or discussed face-to-face by your followers and you. What does this mean in dollars and cents? Quiz: More readers mean more traffic, more traffic means more leads, and more leads mean more ____?____. If you said “Sales!” you’re absolutely correct. In fact, Hubspot has reported that marketers who prioritize blogging in their content strategy and marketing mix are 13 times more likely to enjoy a positive return on investment than their non-blogging colleagues. Your ROI will vary somewhat depending on your goals and your line of business, but here are a few stats to support the business case for blogging. B-to-B companies that blog generate 70% more leads than those that don’t. (The number is even greater for B2C -- a whopping 88%). Nearly 80% of companies that post to their blogs once a day acquire new customers through their blog. Over 90% of companies who post blog entries more than once a day have acquired customers through their blogs. Your efforts and investment will live or die on how well you plan and execute your blogging tactics. Over the next few posts, this series will tackle what “well-managed” means in terms of real actions. So, stay tuned for more, and don’t be bashful about sharing your questions and experiences. A special preview of this post appeared on October 23rd on LinkedIn. If you're reading this now ... Congratulations! You are thinking ahead and setting the groundwork for a successful gift-giving program in the months ahead. You see, we often don't hear from companies about gift-giving until it's almost too late -- and we get it. There's never enough time to get a jump on projects like this. But, whether you're well-prepared months in advance, or scrambling to launch your customer gift-giving before it's too late, the basics are the same. These are the five principles we emphasize that will help ensure your gift-giving plans are meaningful and effective. #1 - To Gift or Not to Gift. Expresses your honest sentiments in words that sound a little bit like you. 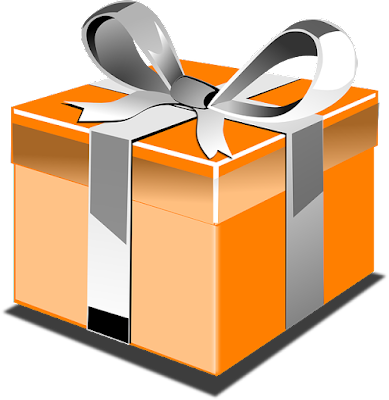 #2 - There's no rule that requires every client/customer receive exactly the same gift. You might consider giving long-term, reliable customers and major accounts something more appropriate to their relationship with your firm. Think of it like you do your own friends and acquaintances. You probably exchange actual gifts with your closer friends and send cards to most of the others, right? The same can apply to your customer list. And don't be put off by pundits who insist they might talk to each other and compare what you gave them. The reality is that, unless you gave a few of your favorite customers new cars, it probably won't be top-of-mind. #3 - The Most Common No-No: "Over-branding." Nobody wants to eat, drink, wear or carry around somebody else's billboard in lieu of a gift -- unless it's the t-shirt you autographed for them at your last sold-out concert. Wine that is private-labeled with your company logo, apparel in your corporate color pallet boldly emblazoned with your logo, mouse pads in the shape of your logo, and food items wrapped in your logo and bearing your tagline are fine for getting your name in front of prospects at trade shows and conferences, but none of these tchotchkes take the customer into account when it comes to gift giving. #4 - When Is a Gift Not a Gift? When it's a discount. Or a BOGO. Or a coupon. Let's face it, nobody is fooled by this. In fact, if you think about it, it's a little crass. By giving a discount instead of a gift, you are actually telling your customer that they don't get a present unless they spend more money with you. The only time a discount or coupon is acceptable is if it accompanies something that conveys your appreciation with no strings attached. An example would be enclosing or attaching a discount code or coupon with an old-fashioned,well-selected card (see above) or other unpretentious memento that in some way conveys your sentiment of appreciation -- vs. your tagline -- and will be enjoyed by the customer. #5 - This is important: Know your customers and apply that knowledge to your gift-giving. Think about what your customer(s) would really enjoy or appreciate when you select your gift. It's not about advertising, it's about gratitude and giving. Be sensitive to customers who do not observe the same holidays you do. While most would understand, some might take offense at your disregard of their beliefs and customs. There will be many other times you can flex your gift-giving muscles and show your appreciation for these customers, including company milestones such as anniversaries, promotions, and opening a new office. It is essential that you are aware of any restrictions your customers may have on accepting gifts from vendors and service providers. The most obvious examples of these customers are state, local and federal government employees. Your well-meaning gesture of appreciation could end up putting him/her in an extremely uncomfortable position, and that's the last thing you want. We love new ideas, so here's something to think about: What was the coolest, most enjoyable gift you have ever received from a vendor or service provider? Let us know in the comments and happy gifting! Whether you bring in extra help with your strategic planning or tackle it internally, winning strategies require homework on the front end. Skip the homework and it's like building a house on Jell-O. You'll have some wiggling, you'll have some jiggling, it may be a little sticky, some people will even enjoy it; but, in the end, the house will collapse and you're gonna have a mess to clean up. #1 - Look at last year's numbers. Analyze the previous year's Sales and revenue numbers for trends. Identify and analyze marketing trends (online, offline results, leads, conversion, rate of return). #2 - Define your vision and goals for the coming year. Align your vision with the organization's mission. Describe what your organization will look like at the end of the year. What do you need to accomplish to realize the vision? How will you know how your results are tracking to your goals? Who needs to buy from you to ensure your vision, goals and objectives are met? Create detailed personas for each segment. #4 - What's up with those pesky competitors? 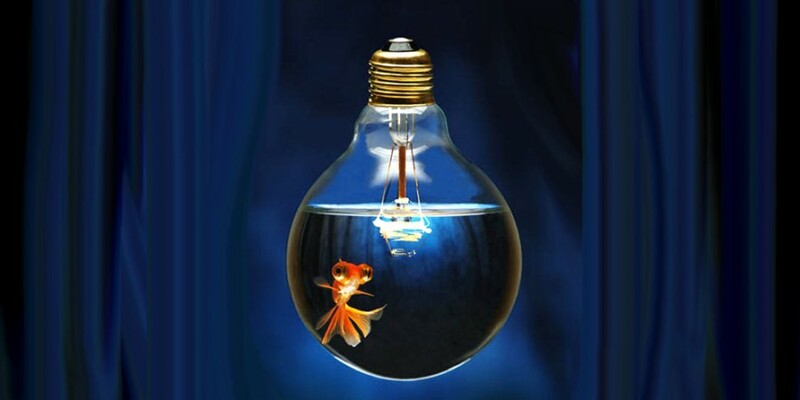 Do your differentiators hold up? Why or why not? Adjust strategy accordingly. Review and analyze their strategy and tactics -- don't emulate it, just learn from it. Make sure everything is aligned to a target market segment -- adjust for gaps. This means everything from your Style Guide, to collateral, to content, slideshows, to website, to social postings and platforms. #6 - Analyze your Sales and CRM processes. Align marketing to Sales milestones. Make careful note of any gaps in alignment. #7 - Plan and Document. Review the results of your homework and identify gaps, changing trends, and new challenges. Build your plan around two things: keeping what works and developing new tactics to address the gaps, changes and new areas. Document the tactical and logistical elements required in a logical, operational fashion -- including how you will track, measure and analyze results against clear, reasonable criteria. #8 - Make it a team effort. Make your team part of process -- don't leave anyone out and make sure they all have an assignment that fits with their areas of interest and expertise. Include colleagues from other functional areas (especially Sales, but don't leave Finance, IT, R&D, and HR out). Publish and present the strategic plan to the company in functional groups to address their roles, relationships and input to its success. Solicit, document, and acknowledge feedback and input. It never ceases to amaze me how many younger, smaller companies are out there making it up as they go along. No research. No measurement. No plan at all -- strategic, operational or otherwise. But I guess that's what accounts for the staggering fail rate among entrepreneurs and small businesses. I, personally and professionally, hate to see innovation go belly up. Hope you take these tips to heart and, if you need help, ask for it. Have more tips? Leave your best advice and personal experience in our comments. Today's blogger is Melissa Macaulay Federico, holding forth on a topic that is near and dear to her heart. Founder and CEO of The B2B Branding Company, Melissa is never happier than when she is working with business-to-business innovators to build strong, relevant, well-differentiated brands; or helping entrepreneurs stuck in start-up mode realize their long-delayed vision. A force majeure in the brand marketing industry, she is an entertaining and compelling teacher, mentor and advisor -- probably because she absolutely loves what she does for a living. (Who are some of the most visible and effective brand champions in recent years? Check out our featured quiz, "NAME THAT BRAND" at the end of this article). First, let's be clear: There can be only one. 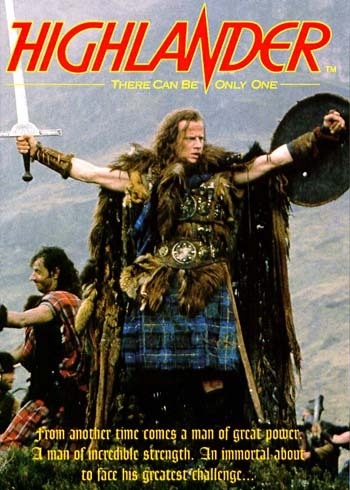 (And no, that is not a reference to the "Highlander" movie franchise). There can be only one champion of any given brand at any one time. There may be gazillions of "brand ambassadors" spreading the joy and wonder of your organization, product or service all over the place. But only one Brand Champion. Please. One Brand Champion per brand means one voice, one face, one personality, and one go-to person for influencers, media, customers, and investors. The value of a single, powerful voice is potentially enormous. The reality is you'll be lucky to find even one person who has what it takes to be that voice. It's not something we like to talk about it, but many organizations are not blessed with a leader who fully "gets" branding, and loves to talk about their company with anyone, anywhere, anytime -- let alone do so with enthusiasm, obvious pride, and total credibility. The insiders' secret is that Brand Champions are not born. They are made. Often by people like us. 1 - C-level role in the organization -- the CEO is always our first draft pick. 2 - Deep knowledge of and pride in the organization, from end to end. 3 - Understands marketing and the bottom line value of the brand. 4 - Knows the customers -- in every segment. 6 - Excellent storyteller, able to communicate complex topics understandably. 7 - Genuinely likes people and enjoys talking with them (vs. at them). 8 - He/she is the Big Picture person with a vision that is based on an ability to read patterns in both the macro- and immediate market environments. Tall order. Even among the best, very few can lay claim to total mastery of all eight qualities out-of-the-box. This explains why some organizations contract with a celebrity whose image (a.k.a. personal brand) mirrors that of its product, service and business. Even at that, however, the celebrity can only become the "face of the brand," not its champion and certainly not its guardian. The good news is that, given a willing and savvy CEO, any organization can develop a brand champion with an investment in media, communication, public speaking, and image development training. It works, and some the finest brand champions in recent history are the proof. Can you name the organization for which each of the following have served as its Brand Champion? Give it a try and let us know how you score. What was your score? Is there anyone you would add to this quiz? Why? Let us know -- we'd love to hear from you!